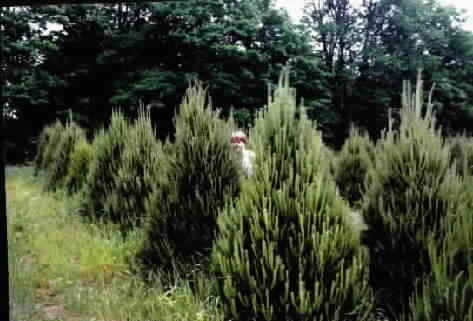 Scotch pine is a long time favorite for reforestation . 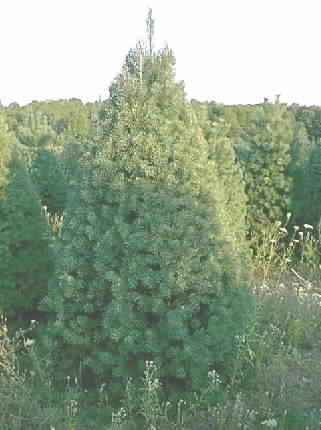 Scotch Pine is a beautiful evergreen with stiff bluish-green needles. A fast grower, some years attaining 4' growth, adapts to dry and sandy soils. Scots are easily transplanted. Scotch Pine are also useful for windbreaks and specimen trees. Although it has slipped in popularity in recent years many people still buy Scotch Pine for Christmas trees . To buy Scotch Pine seedlings or for prices on Scotch Pine see the drop down menu below. To search other evergreen prices click blue link below. We have Scotch Pine from 3 inches up to 15 feet. Call for large tree prices. To order Scotts Pine by PHONE: We're glad to take your order by phone. For your convenience, we have a toll free number 800 568-9179. Phone orders can be charged to VISA or MasterCard accounts.